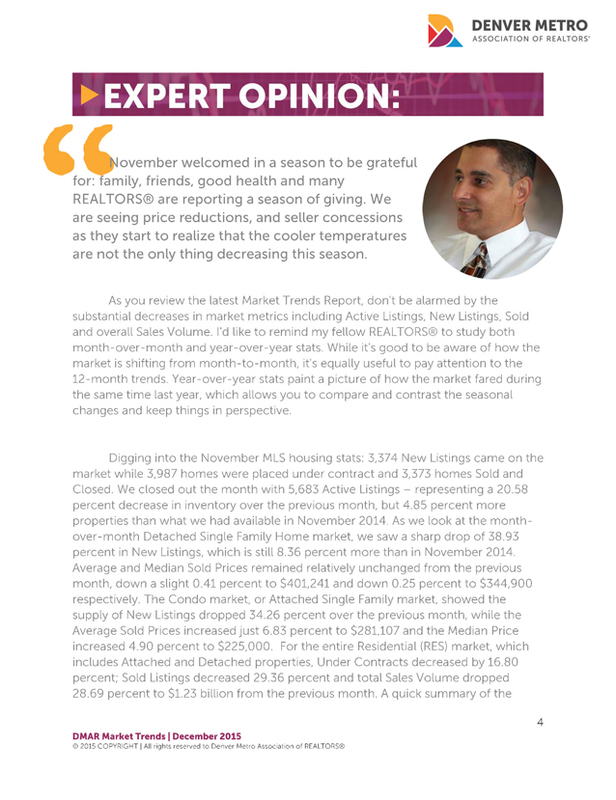 "November welcomed in a season to be grateful for: family, friends, good health and many REALTORS® are reporting a season of giving. We are seeing price reductions, and seller concessions as they start to realize that the cooler temperatures are not the only thing decreasing this season. 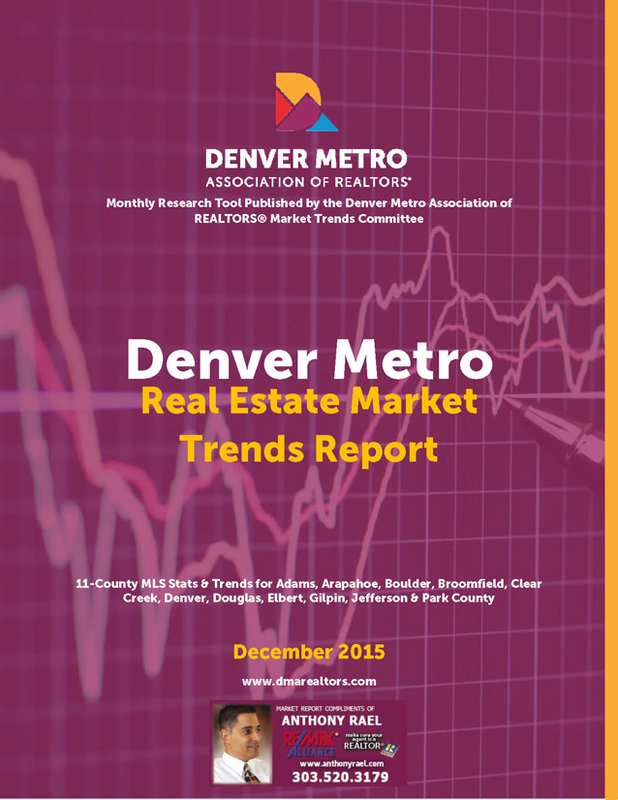 As you review the latest Market Trends Report, don't be alarmed by the substantial decreases in market metrics including Active Listings, New Listings, Sold and overall Sales Volume. I'd like to remind my fellow REALTORS® to study both month-over-month and year-over-year stats. While it's good to be aware of how the market is shifting from month-to-month, it's equally useful to pay attention to the 12-month trends. Year-over-year stats paint a picture of how the market fared during the same time last year, which allows you to compare and contrast the seasonal changes and keep things in perspective. Digging into the November MLS housing stats: 3,374 New Listings came on the market while 3,987 homes were placed under contract and 3,373 homes Sold and Closed. 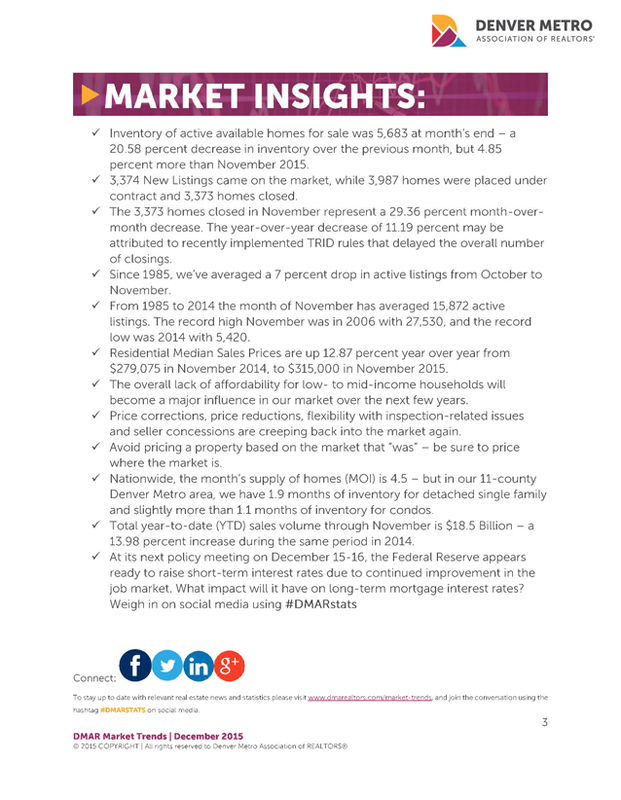 We closed out the month with 5,683 Active Listings – representing a 20.58 percent decrease in inventory over the previous month, but 4.85 percent more properties than what we had available in November 2014. 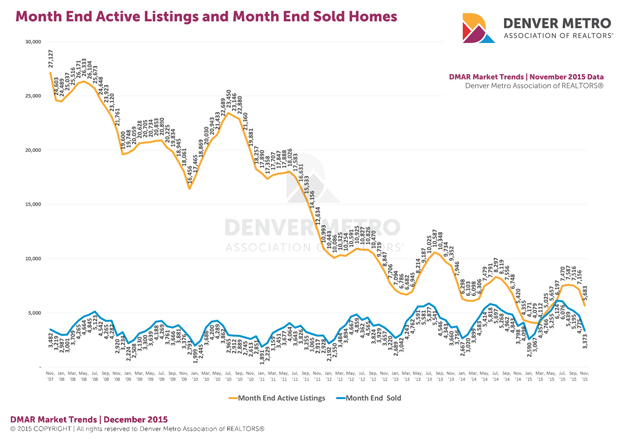 As we look at the month-over-month Detached Single Family Home market, we saw a sharp drop of 38.93 percent in New Listings, which is still 8.36 percent more than in November 2014. Average and Median Sold Prices remained relatively unchanged from the previous month, down a slight 0.41 percent to $401,241 and down 0.25 percent to $344,900 respectively. 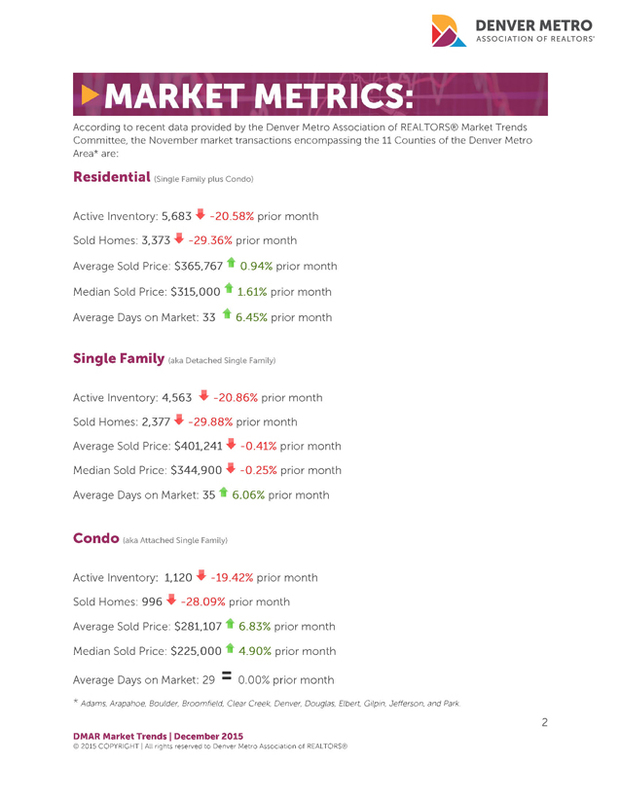 The Condo market, or Attached Single Family market, showed the supply of New Listings dropped 34.26 percent over the previous month, while the Average Sold Prices increased just 6.83 percent to $281,107 and the Median Price increased 4.90 percent to $225,000. For the entire Residential (RES) market, which includes Attached and Detached properties, Under Contracts decreased by 16.80 percent; Sold Listings decreased 29.36 percent and total Sales Volume dropped 28.69 percent to $1.23 billion from the previous month. A quick summary of the Year-to-Date (YTD) Residential market stats shows new listings at 63,596 (6.02 percent more than 2014); days on market at 30 (18.92 percent less than 2014); Average Price at $362,255 (11.63 percent more than 2014) and a record-smashing $18.5 billion in total Sales Volume (13.98 percent more than 2014). 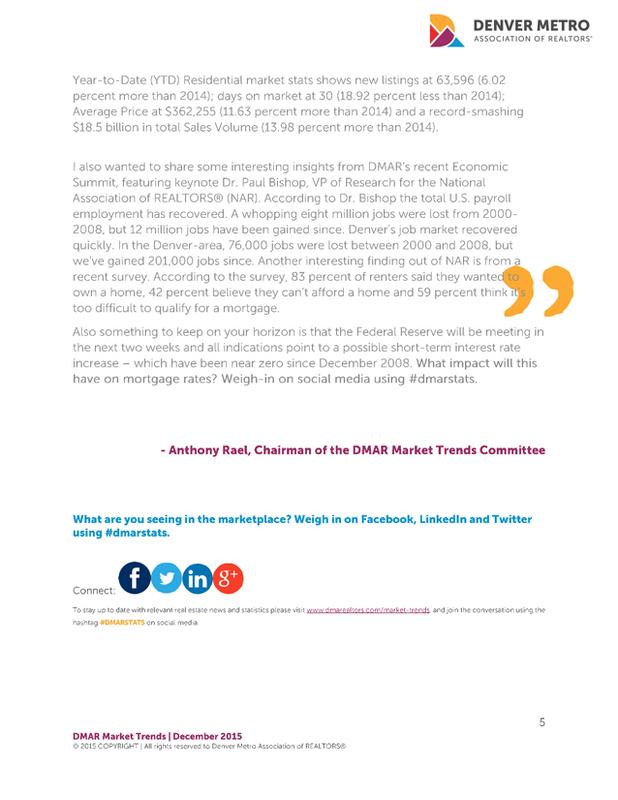 I also wanted to share some interesting insights from DMAR’s recent Economic Summit, featuring keynote Dr. Paul Bishop, VP of Research for the National Association of REALTORS® (NAR). According to Dr. Bishop the total U.S. payroll employment has recovered. A whopping eight million jobs were lost from 2000-2008, but 12 million jobs have been gained since. Denver's job market recovered quickly. In the Denver-area, 76,000 jobs were lost between 2000 and 2008, but we’ve gained 201,000 jobs since. Another interesting finding out of NAR is from a recent survey. According to the survey, 83 percent of renters said they wanted to own a home, 42 percent believe they can’t afford a home and 59 percent think it's too difficult to qualify for a mortgage. Also something to keep on your horizon is that the Federal Reserve will be meeting in the next two weeks and all indications point to a possible short-term interest rate increase – which have been near zero since December 2008. What impact will this have on mortgage rates? Weigh-in on social media using #dmarstats."